Hello everybody, my first post here, but have been lurking for almost a year. 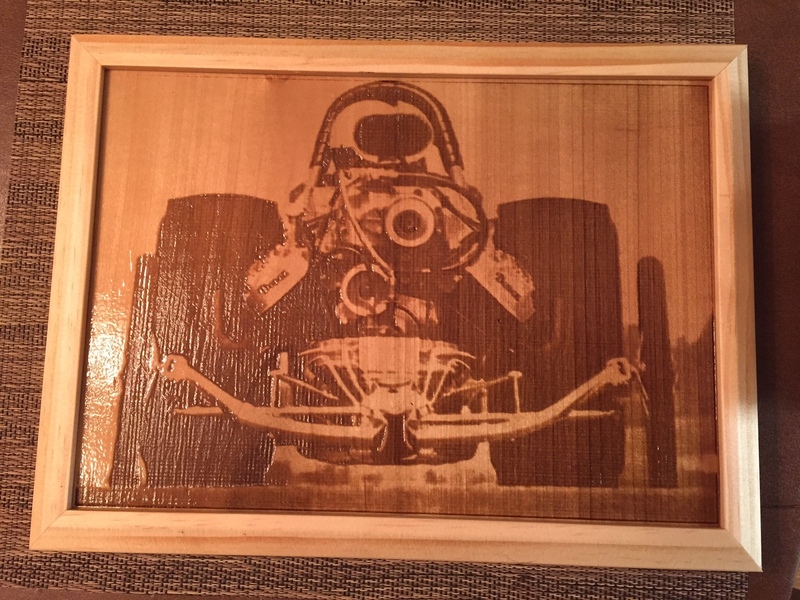 I've had my 1000 xcarve for just under a year but don't get as much time as i'd like to play with it. I wanted to thank all that contribute on this forum for making my life easier when I do get to use it. I am a gadget junkie (wife's description of me) and just purchased the 3.8w jtech laser kit. 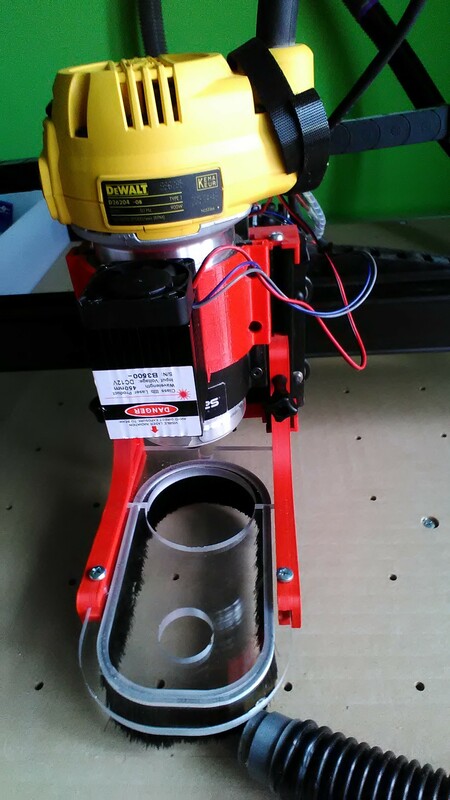 did not care for the xcarve mount that came with it. I saw the video of Shane bell's mount and the post of Todd Lumpkin with his mount and decided that i needed to use their quick removal idea and put my spin on it. I always can use practice in fusion360, so i drew up my version, and 3d printed in one piece. came out great, only had to open up a couple holes to get the module to fit correctly. Mainly wanted to think the guys for their inspiration for the project. Looking forward to getting the laser system going now. Any way you could share the .stl file for that bracket, Looks great. Thanks guys. 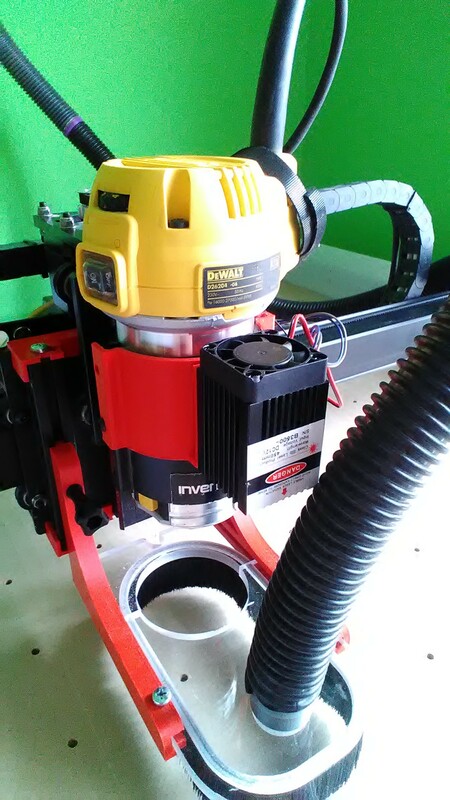 Robert, it works just like the one in Shane's vid with the two screws attaching it to the one side and a tab that locks in to the other side of the Dewalt mount. The only difference is that he installed a connector for the wires and I am using the the power extension and plug that came with the kit. Just like his, the bracket, module, and laser can be removed as a unit, only leaving the signal and power wires hanging. I can post some more detailed pictures later if needed. I got tired of the mount hitting the right side rail so I made a quick and dirty bracket from 1 1/2" aluminum angle. Now it takes under a minute to mount it and plug it in, and best of all, I can remove it and put it away when I need to, and it's centered. Here are a couple more pics and the .stl file I'll post later. There are a couple holes I'd like to adjust before I post it and Fusion has decided it is time for a update. Not a bad idea Bill, I just don't like the driver staying in the dust when carving, and you had me thinking, so I checked on the clearance on the Y rail and mine will not travel that far anyways due to the added ziptie on the belt clip. So far I have not needed to use the entire workspace, so I think I will be fine with it. HAPPY NEW YEAR EVERYBODY!!!! It is centered in the X plane and butts right next to the chuck in the Y plane. So the Y off set is approx 1.0 ish from the chuck. This way I just have to jog forward from my G28 when I use the laser and it won't get in the way on the far right side. Here's the STL file for the bracket for anyone that would like it. Sorry you will have to rotate it to a better printing position, I have not spent any time to learn meshmixer and used mattercontrol to edit and print. I finally got the laser to work after two days of troubleshooting a loose connection in the xcontroler that was installed at the same time. 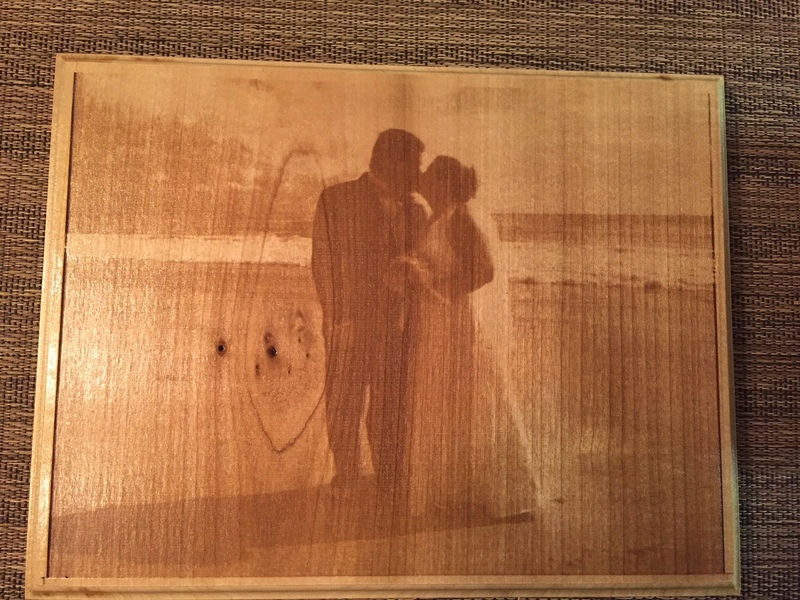 I've made two projects with the laser and so far and very happy with the laser, Picengrave, and the picsender. After some practice, this will be fun to have. @JasonWest - Thanks for the file, I printed it, now just waiting on the laser! I have a Chinese 3.5 W blue laser (not the J-tech one unfortunately) and designed a mount for it that had to be a quick snap one so I wanted to share it with the community. the mount is a snug fit design, but i forgot to count for the "inventables" label so I had to move it to the top side of the spindle mount. 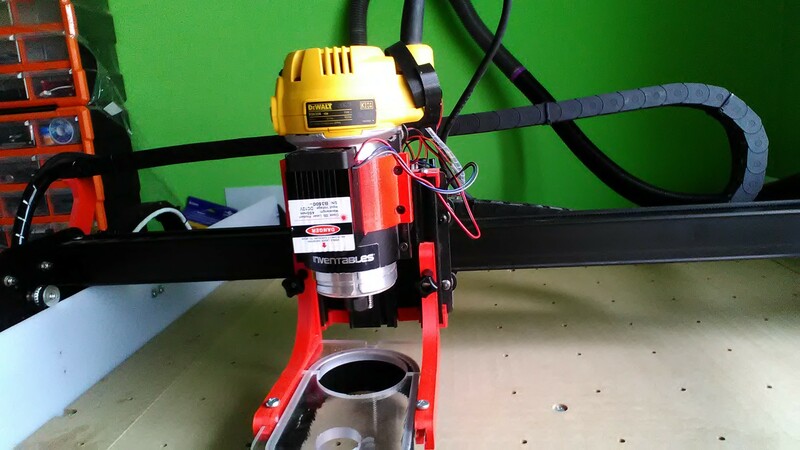 I think this can be easily adjusted to fit the Jtech laser if any one can give me the mounting holes dimensions. 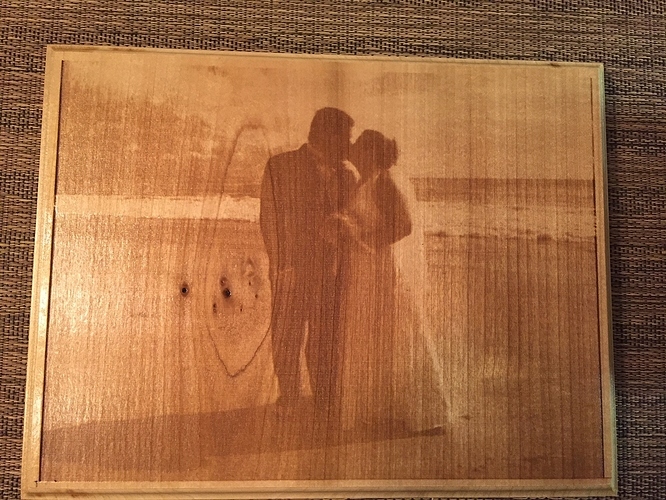 So far having fun with the laser, picengrave, and picsender. Here are a couple of projects I've been able to complete in my little bit of free time. 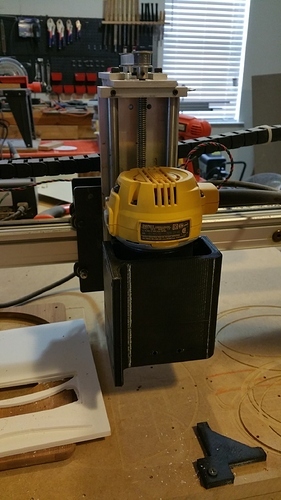 Finally got around to printing this mount, wow it took 97 hours on my machine 100% fill but this thing is totally excellent Thanks JasonWest for sharing. 97 hours? That is crazy. What printer do you have? What speeds were you running? WOW!!! 97 hours. I've got patience, but that would have sucked the life out of me. I think I did mine with a 25% infill and it is plenty strong. Glad that I could make a small contribution to the forum that has helped me so much. Any thoughts on using rare metal magnets to lock in place? There is a laser that has a docking station like that so my guess is the movement is not enought to make it fall.